The cheek trio of dreams may seem like a bit of an exaggeration to some, but to me, its a spot on description for this team of products. I could never get my cheeks just right. 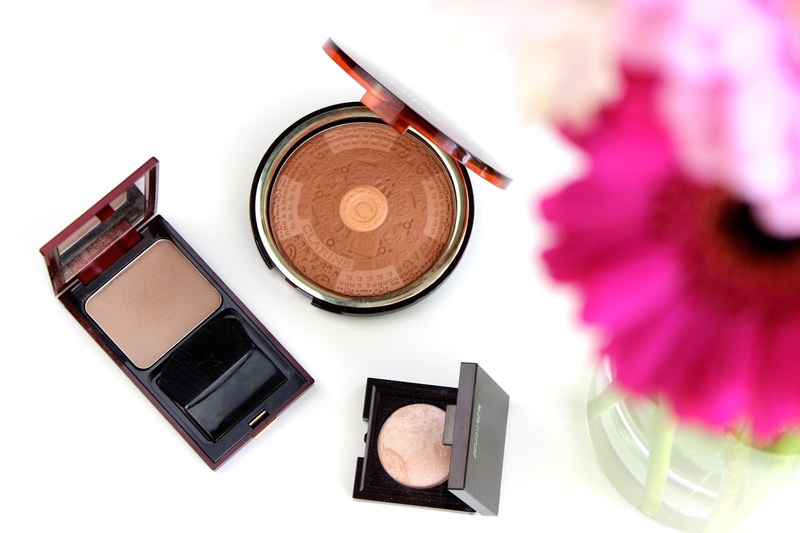 They either looked too pale and sculpted or too bronzed and lacking definition, but these products all together create a perfectly bronzed, sculpted and glowing cheek. The Kevyn Aucoin Sculpting Powder is my contour product of choice. A grey toned brown it perfectly mimics a shadow and its finely milled formula means it blends like a dream and can be made to look incredibly natural, or built up to be more defined whilst still looking 'real'. I used to think this was too much for the daytime, as it didn't give me the warmth i wanted, but paired with the Clarins bronzer it's all i could ask for! The final product which really finishes things off is the Laura Mercier Matte Radiance Baked Powder in Highlight. This is a sample size which i received in a Space NK goodie bag, and i'm so glad i did! 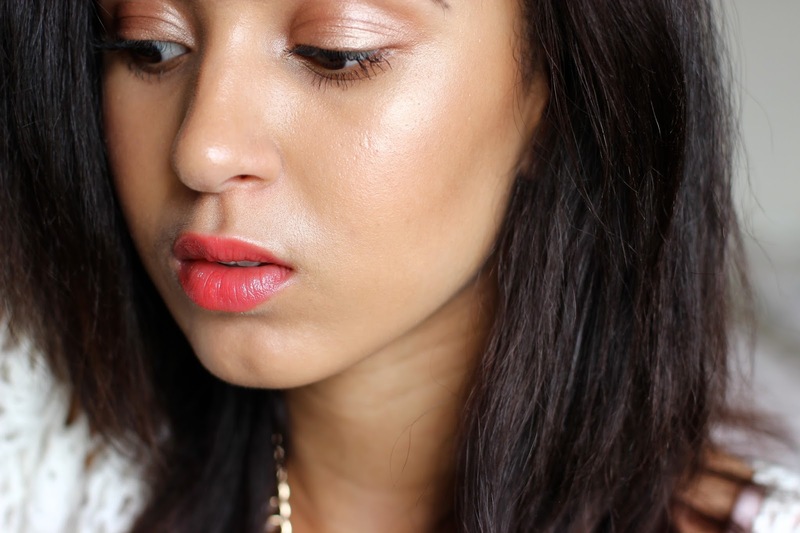 I find it very difficult to find a powder highlighter which i love, but this is definitely my new favourite. It gives you such a radiant glow, leaving your cheeks with a sheen which is incredibly noticeable, but still manages to look natural and akin to a 'lit from within' glow. You need hardly any product to get the desired effect which is great too, as usually i pile on the highlight to combat my usually dull skin. A must have for any highlight fan like me! Pop on a blush and i'm good to go, i can see this lineup staying put for a long time.